The Woodlawn area and its surrounds are renowned for its richness in ringfort distribution. Even to the untrained eye we know of a fort, lios, rath, cashel or fairy fort in our immediate locality. Perhaps you were warned by your fore fathers to steer clear of these magical places, with folk lore of faries, ghosts and bad luck befallen those that interfered with them. 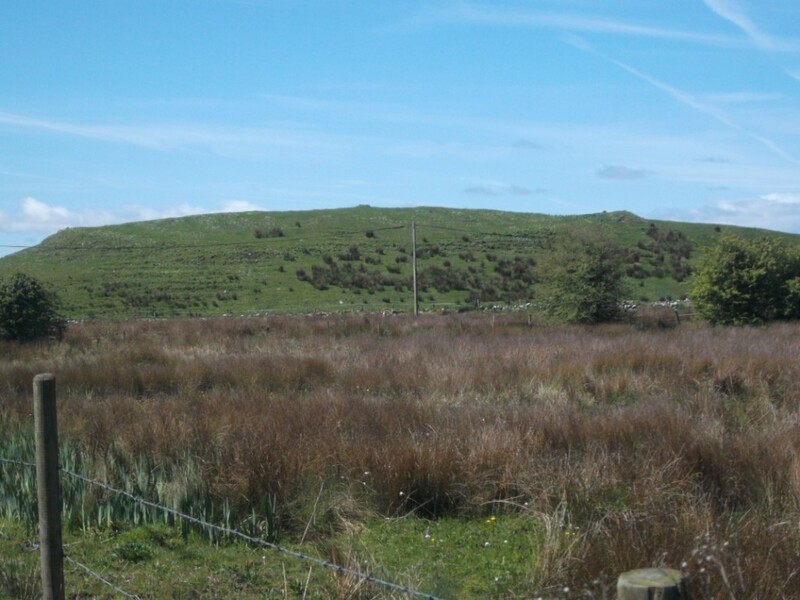 The ringfort is one of the most common archaeological features of the Irish landscape. It is indicative of a time when status and prestige were as important as protecting ones valuables. Some ringforts may be identified as areas now surrounded by trees. Others may have one ‘fairy tree’, usually a hawthorn located on the bank. Their association with the other world may be derived from their re-use as cillini, or childrens’ burial grounds in more recent times. 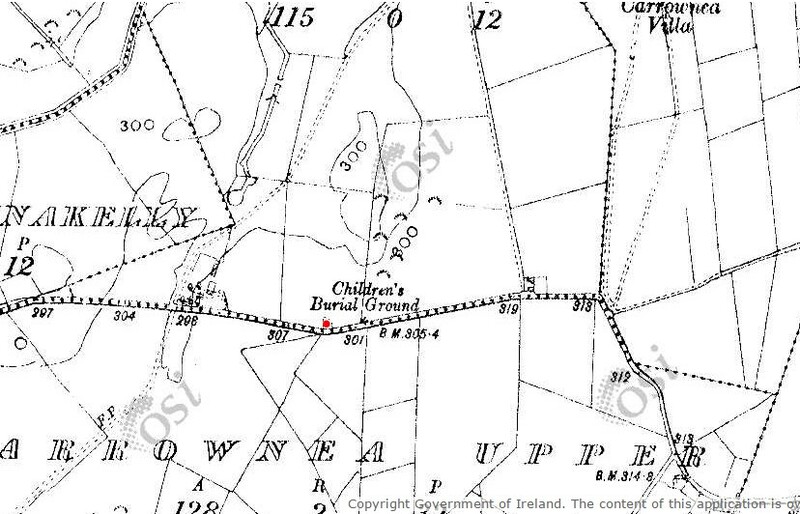 An example of this is the Children’s Burial ground at Carrownea (Recorded Monument GA 073:043). The enclosure has been cut through by the road, but the outline of the ditch is faintly evident within the fields. The term ringfort is a very broad one. In recent times they have been re-defined as native enclosed settlements by Fitzpatrick (2009), and Comber (1999). The reason being the generic term ‘ringfort’ has been used to describe a wide range of constructions from stone banked enclosures, (cashel and cathair); earthen banked enclosures (rath and lios), circular, oval and even “D’ shaped all ranging in size from 20m to 50 m in diameter. There is evidence of over 45,000 throughout the country, and they were generally inhabited from the seventh century. However, excavation has revealed occupation as late as the seventeenth century. Interpretations for their uses vary from simple farming homesteads to military outposts. A ringfort is by O’Riordain’s definition a ‘space most frequently circular, surrounded by a bank and fosse or simply by a rampart of stone’. Varying in size, the defenses may take up more space than the habitation area inside in the more elaborately defended examples. An entrance is generally identified in the east or south east, usually consisting of an un-dug causeway across the fosse leading to a gap in the banks. There are of course exceptions to this rule, with entrances possibly facing a larger and more prominent ringfort in the locality. The positioning of the entrance may be offset against prevailing winds, and allowing light into the centre of the enclosure. 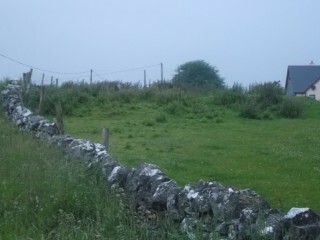 Features within a ringfort may include a number of houses or huts, a souterrain and on the top of the bank a fence or palisade may have provided more security. Lucas (1989) notes that ringforts were not built to repel prolonged sieges but to repel the lightening cattle raids which were endemic in the Early Christian period in Ireland. Having a community watching out for each other would put off any raider from attack. Their abundance in the landscape is testament to their ability to provide the model space for a farming community. This community consisted of a hierarchical society with a king (Rí), Nobles or Lords (Airig), and Farmers (Boairg). There would also have been servants and slaves. The larger ringfort or more elaborate ringfort would undoubtedly belong to the higher class. Cattle were the commodity which was traded and the ringfort provided that space to keep them safe. A number of excavations revealed little or no evidence for houses or huts within the ringfort, leading to the conclusion some may only have been used as enclosures for the animals. 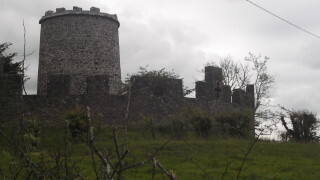 The topography of East Galway generated a pre-disposed positioning for these enclosures. Their prominence on the kames and drumlins left in the wake of the last ice age was an obvious choice. This provided dry land for the day to day requirements of the farmer, within an area predominantly marsh and bog. 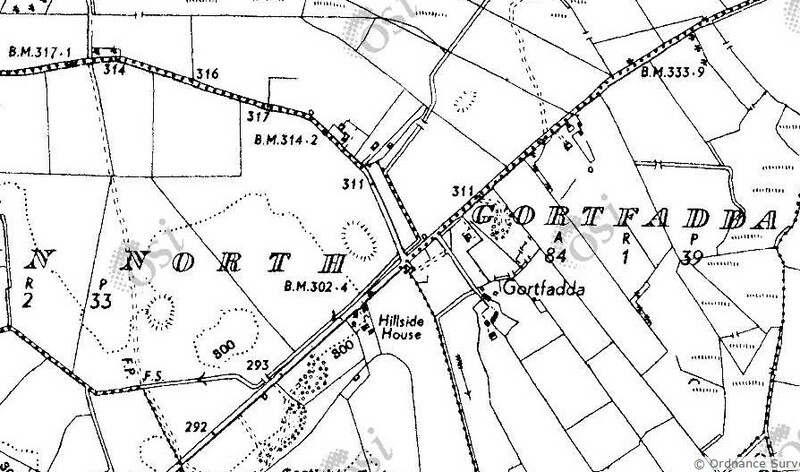 Recorded Monument GA086:080 (Ringfort) is characteristic of ringforts in the area. It was constructed by scarping the outside edges into a defensive bank on the summit of a hill. Located on the outskirts of New Inn at the junction of the Cappataggle Road it is a prominent feature in the landscape, just as it would have been some twelve hundred years ago. A low bank encloses an oval area measuring 41.1m x 37m. One must remember this bank would have been much higher originally. 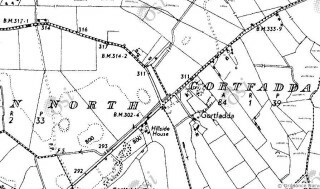 At Castlebin North, Recorded Monument GA086:074 (Ringfort) is another which would catch your eye in passing. Located at the junction of Clooncah Road and the New Inn/Kilconnell rd, this monument commands views all round, in particular to the south and west where similar ringforts are visible. This oval uni-vallate rath measures 51m x 34.2m and is defined by the low stoney bank measuring on average 0.4m. A 4m break in the north east portion of the bank would be indicative of an entrance. There are also faint traces of a ramp leading to the gap. This community looked to their King as a judge and jury, but peoples’ spiritual needs were provided by the Early Christian Church at this time. The introduction of Christianity saw a widespread emergence of ecclesiastical sites, some larger and more prominent than others. It is by no co-incidence that Clonmacnoise is located at the junction of the Slí Mór and the River Shannon, giving people routes to and from the ecclesiastical centre. Killaan Church may well have been the spiritual provider for the inhabitants of the surrounding ringforts. Its location is on the periphery of a vast community and it is also located along one of Ireland’s oldest travel routes, the Slí Mór. A recently excavated site at Rahally has shown that the same sites were used over long periods of time and re-used throughout generations. This multi phased site supplied dates from the Later Bronze Age, right up to the eighteenth century. Excavations revealed a previously unknown pre-historic hillfort, a previously unknown uni-vallate ringfort of Early medieval date, a possible annex to the ringfort which was a known monument prior to excavation (Recorded Monument GA086:211), and parts of a field system which date to the later medieval period. Iron Age dates came from cut features, pits and gullies. What was once thought to be one ‘ringfort’ dating to the Early Christian period, was discovered to be a complex multi-phase site of national importance. 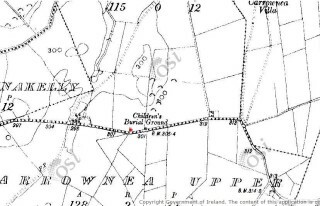 The most obvious re-use of the ringfort in the area is at Monaveen. Trench’s Mausoleum stands tall, commanding views all round. When visiting the mausoleum, take note of the bank and curving entrance around it. The enclosing wall of the mausoleum now stands where a wooden palisade or fence may have stood. This page was added on 20/12/2016.